Jan 03, 2016 / Comments: 0 / Goodbye Gustav! On Dec 19th, 2015 Gustav Vigneshwara sent out a Christmas Message to all Friends of Shiva Sai Mandir Music. If you did not receive this message, you can read it here. Of course this new Bhajan Book is a wonderful Christmas gift! But, in my thoughts of Christmas, there is another gift, a gift that one can only give oneself. One reason bhajans are healing is because they operate outside of our normal mindset. They have nothing to do with the ups and downs of daily life. They are always purely about divinity. They relieve us from all our worries. We cannot sing and worry about life at the same time! Bhajans are always fresh, new, and exclusively in the moment. They make us forget our burdens and what separates us from our true nature. Why is it that our daily life is not without burdens and rarely in the moment? A mostly unconscious reason is the belief that we are guilty of something. Didn’t they feed us with that? There are limitless possibilities to find guilt in ourselves and blame in others, i.e., all our ‘brothers’ and ‘sisters’ who treated us in the wrong way or who disappointed or hurt us. It is easiest to just feel guilt for the world’s suffering and then we are set for the rest of our lives and have enough to do! But this type of mindset will prevent us from living our life’s true mission. If we are honest, guilt is nothing less than a comfortable concept for everything going wrong in our lives, past or present. One can stay stuck in one’s suffering and does not need to really look at oneself. If we would stop this way of thinking and accept our mistakes from the past, then there wouldn’t be a reason anymore to be unhappy and to seek responsibility for our lives outside of us. We would shape our lives by ourselves, and finally, we would be in Paradise. Finally! Jesus lived in Paradise. This gave him the strength to walk his path. He never blamed anyone for anything and he didn’t have the idea to seek guilt in himself. On the contrary, he forgave everyone and even healed the man who tortured him on the cross. He showed us his way. 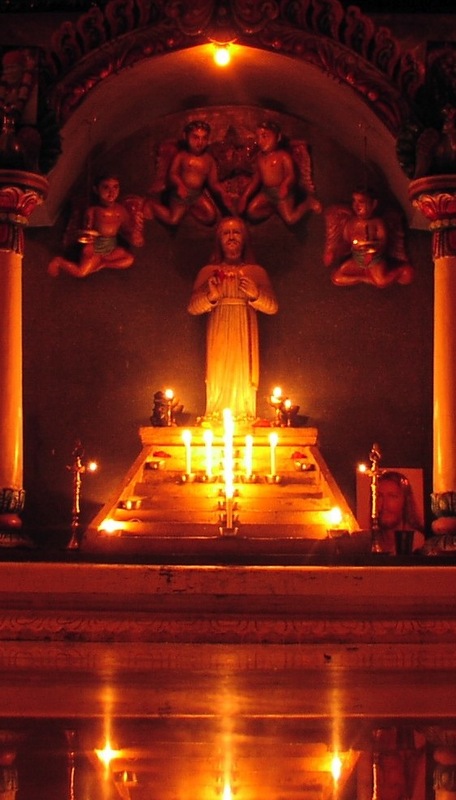 We just need to look at the picture above from the Jesus Temple in Penukonda. He is showing us his way, isn’t he? For sure Jesus sang beautifully, so wonderfully that time stood still. He sang pure without a trace of ego. Probably, he could also sing loud, and in a challenging, funny and unharmonious way. He didn’t care how to get his messages across, but he always sang about the truth, about the Paradise we already all live in, and about the path of the heart, the path of unconditional love! Maybe we can ask him if he wants to sing about this Paradise through us! Whoever wants to come closer to their true self this Christmas and therefore implement the legacy of Jesus, will decide against tricky strategies to pull oneself away from the ‘self’ and will accept oneself as who one is and practice self forgiveness. To walk the path of the heart, it first means to be a true friend to yourself and to forgive yourself for all your mistakes and then to forgive all the people who treated us ‘wrongly.’ This is really the true Christmas gift that everyone can give to themselves! And I know of no better time to give this gift than these coming days. Why don’t you turn towards the Man of Love and ask him for help? Ask him to bring you closer to the goal of Paradise with each bhajan that you sing, and ask him for the gift to be able to sing like he would have sung. Happy Singing and Merry Christmas! Enjoy this beautiful Bhajan with Christina Schmidt, Gustav Vigneshwara and Sabeenamayi. The first part is an old mantra - the Mahamrityunjaya Mantra (महामृत्युंजय मंत्र, Mahāmṛtyuṃjaya Mantra - „Great Death-conquering Mantra“) - an old healing mantra. The second part is a wonderful devotional text workshipping Jesus Christ. OM. We worship and adore (Yajamahe) You, oh three-eyed One (Tryambakam). Oh Shiva, You are the sweet fragrance (Sugandhim) of life! You nourish (Vardhanam) us, restore our health, and cause us to thrive (Pushti). As, in due time, the stem (Bandhanan) of the cucumber (Urvarukamiva) weakens, and the fruit is freed from the vine. So free (Mukshiya) us from attachment and death (Mrityor), and give us immortality (Mamritat)! 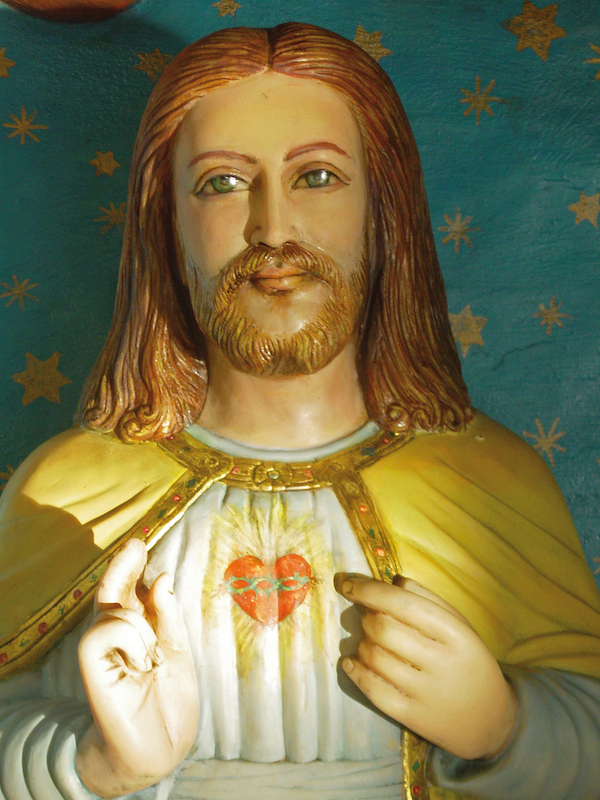 Oh Jesus, you are like the milk (Kshira) which nurses the body, like Divine Nectar (Amruta) which nurses the soul, and you have a great (Maha) heart (Hrudaya) for this creation! Victory (Jai) to Jesus, the unity (Yogam) with You is my refuge (Sharanam). Gustav’s beautiful family lost a wonderful father and a husband. Let’s make sure that they are at least financially supported for awhile. Here’s how we can say Thank You, Gustav, and support them to continue with their good works: growing the bhajans and spiritual teachings in the world. Please donate generously.